In Hoian, it is customary to enjoy delicious seafood, such as shrimps, crabs, fish and mussels after a nice swim in the sea in hot summer days. The beach resort which is not far from the center of the city attracts a large number of tourists for its fresh and wild natural sceneries as well as delicious specialties while the ancient town of Hoian is peaceful with the narrow streets, ancient temples, monuments and the Assembly Halls. Where to go for mussel? Having a coastline of about 125 km, Quang Nam has a lot of nice beaches such as Cua Dai (Hoian town), Tam Thanh (Tam Ky town), Bai Rang (Nui Thanh district), Ha My (Dien Ban district) and Binh Minh (Thang Binh district). In addition to crabs, shrimps, squids and fishes, mussel, which is a precious kind of the central sea area, living in the deep holes of sand dunes, also is irreplaceable seafood. 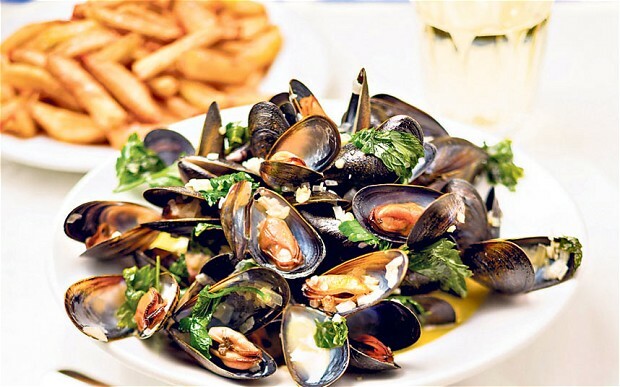 They can cook mussels in different dishes such as steamed, soup, grilled or simply boiled. And being soaked in rice or salt water is the requirement for its processing. Among all of these dishes, the most popular is the boiled mussel. In simple preparation, due to the mussels’ salty and distinctive flavor, they often leave mussels in boiling water with a little spice of fish sauce or salt together with sliced fresh chili and some lemon grass. Visitors favor clams steamed with coconut milk dish for its delicious smell as well as its sweet taste. So, although simple, this clam dish is the most popular. 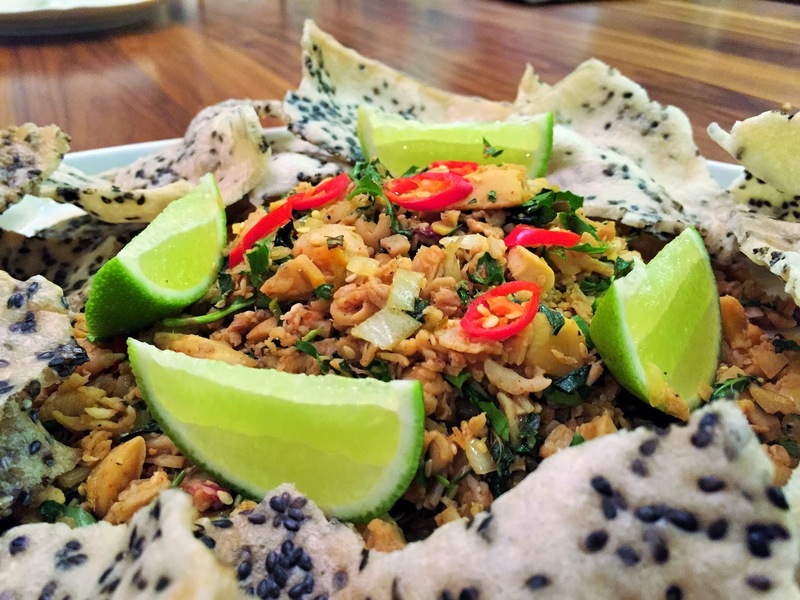 Especially, when being served with crispy rice paper, this dish will be much more delicious. In particular, they choose large mussels for grilled dishes. You will get all mussels out of their shells and eat after they do open after grilling process. But generally, among the locals, the mussel soup seems to be a common choice. They roast the washed rice and cook them over a low heat. Then, they take off the meat of steamed mussels and fry them with the onions. Then, they put all of them in the pot of boiled soup and add into it some slices of ginger and crushed pepper. Guests can enjoy the mussel soup only half an hour. Not only being nutritious, this soup also helps the drunk to overcome the drunkenness. 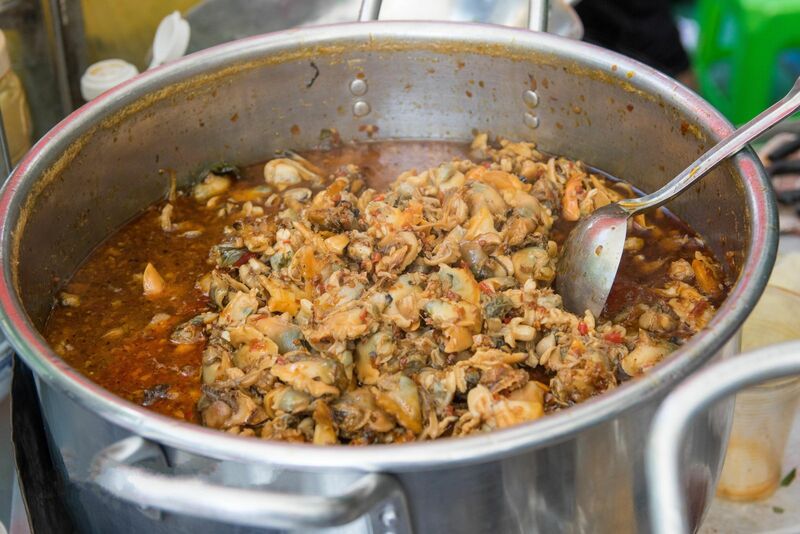 Although simple in the cooking techniques, in order to make clam free from their fish smell, yet preserve their sweet taste to make a mouthwatering clam dish, it requires a skillful combination of hot spices like ginger, pepper, lemongrass and lemon leaves. To cleanly washed, right after being caught, they need to be soaked in rice water for two hours before being cooked. However, they will die if being soaked too long. To have the same charming flavor, you can also eat boiled clams with salt and pepper. 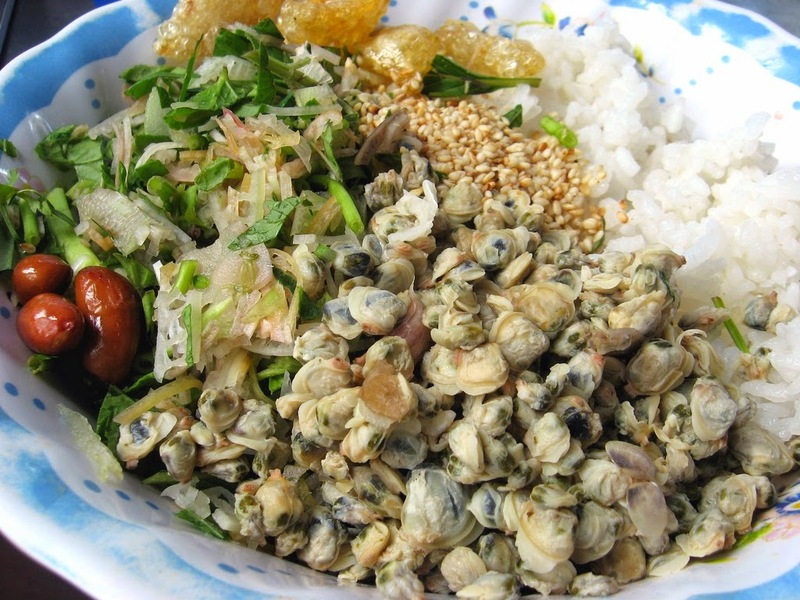 They often use the clam-boiled water to cook a sapid pot of clam gruel, which combines the sweet and fat taste of clams with really hot spices. Visiting Hoian beach, you should not miss a great chance to enjoy the simple dish of mussels with the blended flavor of lemon grass and ginger by yourself after bathing in the cool blue water, seeing fishing boats and watching the incredible dawn rising from Cham Island. Nowadays, tourists will have no difficulty finding in luxurious restaurants some more sophisticated clam dishes. However, diners only fully enjoy the wonderful taste of small clams when having relaxing time at the beach and breathing in the cool sea air.